Hi there. 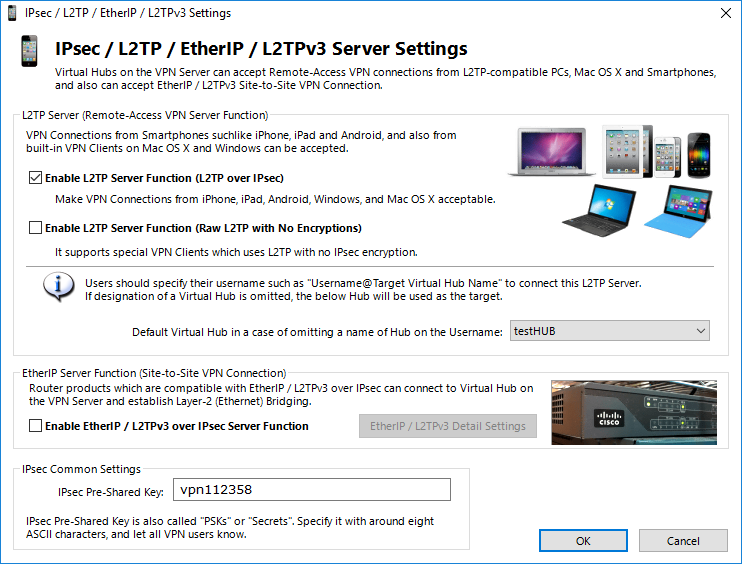 I am having troubles setting up and connecting android devices (or any device that uses L2TP, actually) to my VPN Softether server. I don't really know if I am missing something. 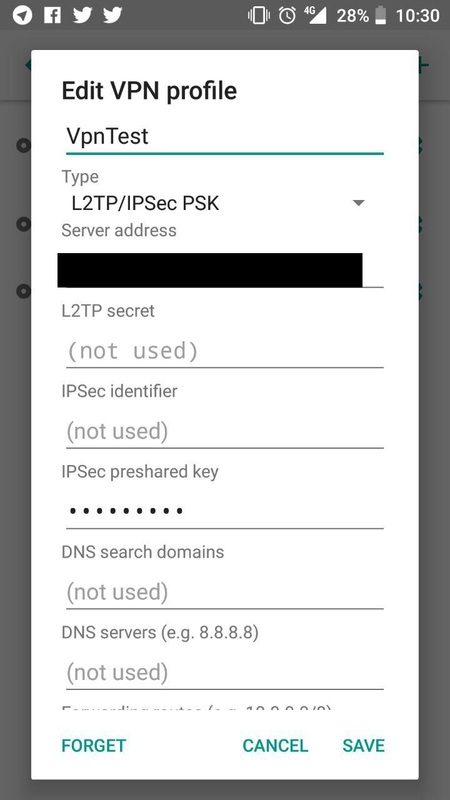 I have configured the server to accept L2TP connections, set a new PSK and created users with "user & password" authentication. Also I looked for answers at the forum and I found that I had to open the ports 4500 and 500 (UDP) and so did I. Anyways I have disabled the firewall, just in case. Then I have configured the android client as well but I get always an "unsuccessfull" message. 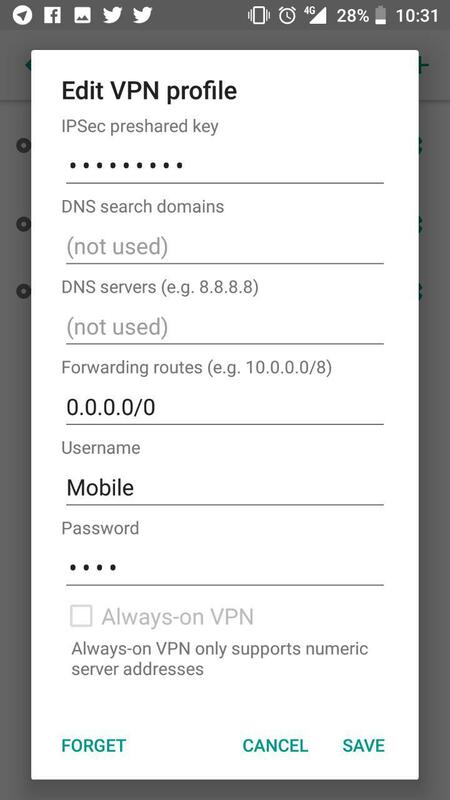 I have also tried to connect my device to a server that I found in https://www.vpngate.net/en/, using L2TP and it worked perfectly :/. Thank you very much in advance =D ! Are the open ports forwarded to the local IP address of the machine running the SE server? Is the Virtual HUB "testHUB" online? 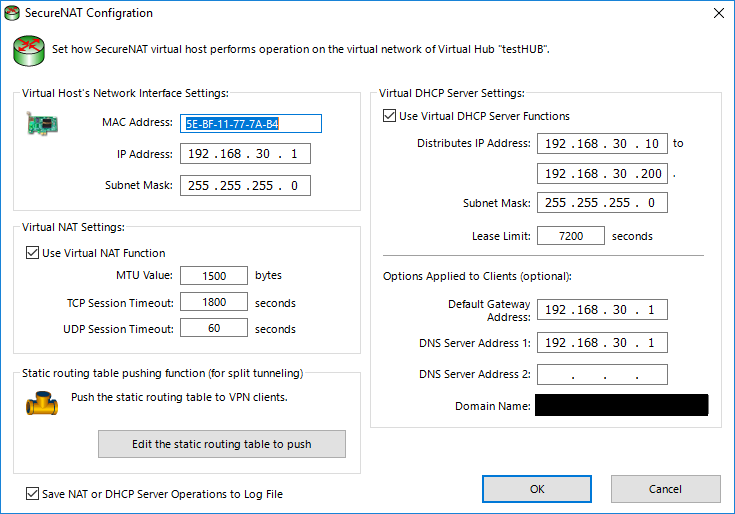 Are you using secureNAT or Locabridge to issue DHCP IP addresses to the VPN client? As I have disabled the firewall I wasn't aware that I also had to forward the ports. Also, I don't know if it matters, I have to say that my server is running on a hosted virtual machine. I am using the configuration by default of Softether, I mean, I haven't configured secureNAT nor a Localbridge, I... think?. Anyway I wasn't in the need to configure it as it worked fine by itself. 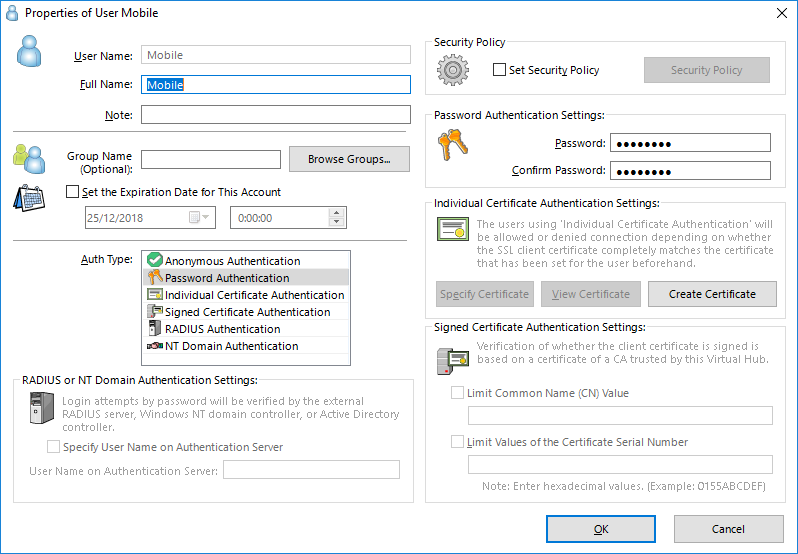 Here is my configuration of the secureNAT although it is off. 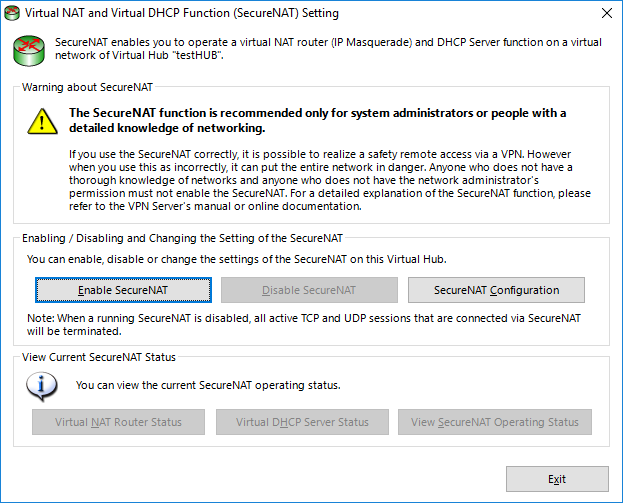 Please enable SecureNAT and read the manual of the router to configure port forwarding.